This book introduces a new style of wood-fired oven to the English speaking world. The design is unique because the Barrel Oven is hot and ready to bake in just 15 minutes after lighting a fire. Check out this Guide for Making a Versatile and Efficient Wood-fired Oven! By Max and Eva Edleson; 96 pages, color. The tools for a sustainable future continue to grow! In this book, Max and Eva Edleson offer a comprehensive guide for planning and building a practical, efficient and affordable wood-fired oven. The Barrel Oven offers surprising convenience because it is hot and ready to bake in within 15-20 minutes and is easy to maintain at a constant temperature. It can be the seed for a small-scale baking enterprise or the heart of a communityâ€™s wood-fired cuisine. All kinds of food can be baked in the Barrel Oven including bread, roasts, pizza, cookies cakes, pies, casseroles and stews. Follow this step-by-step guide to transform local, low-cost materials and the sunâ€™s energy into good food. Step-by-step instructions about how to build this style of oven. 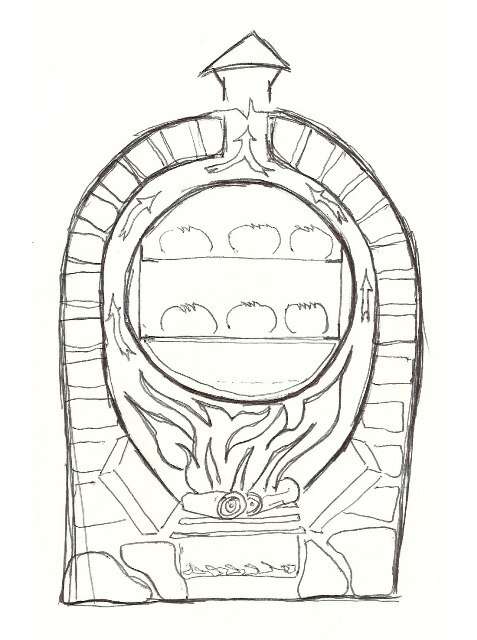 Photos and drawings that demonstrate the building process and completed ovens. General discussions about siting and location for outdoor kitchens. 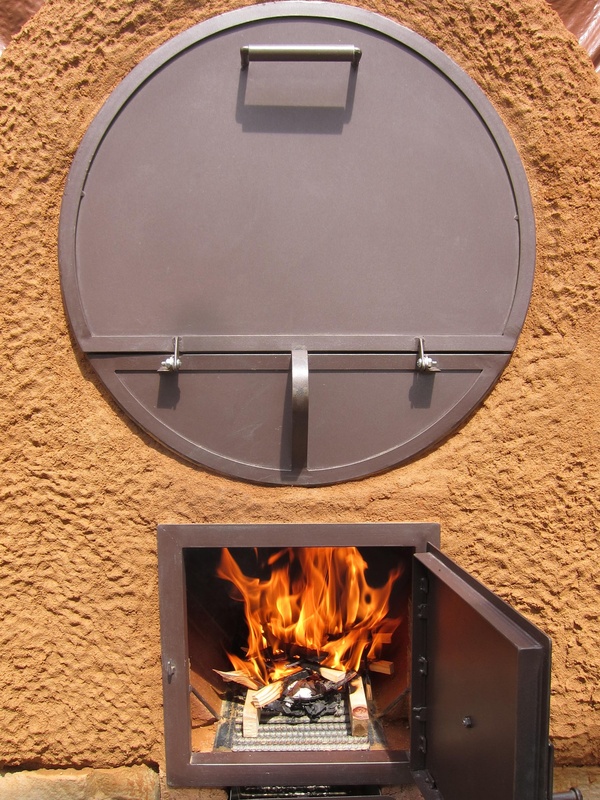 Guidance in deciding which kind of wood-fired oven is best for you. Interviews with people who have been cooking in Barrel Ovens for many years. Recipes for great dishes to be cooked in your Barrel Oven! –Sandor Ellix Katz, Author of Wild Fermentation, The Revolution Will Not Be Microwaved, and The Art of Fermentation. â€œMax and Eva Edleson offer up this barrel oven as a marriage of native, natural materials with industrial â€œwaste.â€ The result is a beautiful and useful appliance that combines the appeal and advantages of wood fire with the quick heat of an American industrialized kitchen. Yup. And it can be cheap, too, especially if you can do simple metal work yourself. And your kids can help you do the mud work. — Kiko Denzer, author, Build Your Own Earth Oven: A Low-Cost, Wood-Fired Mud Oven, Simple Sourdough Bread, Perfect Loaves. An Excellent Article by Make Magazine that excerpts and summarizes the book. Hot From the Oven! – An archive about do-it-yourself wood-fired ovens. Build Your Own Earth Oven – The classic on how-to-build adobe-style domed ovens. Contact us if you are interested in quantity discounts.Â Let us know if you are interested in writing an article or otherwise linking to the book and we will be happy to help you out.